Welcome to the Baker’s Dozen Giveaway Hop, presented to you by the The Flower Hazard! Start here by entering to win a Paula Deen Prize Pack! From now through June 25th, you will have the chance to enter to win some great baking items! The Flower Hazard is giving away several items great for baking cookies, so check out the main giveaway on her site! Each giveaway in the hop is valued at $25 or more, so check the linky below, visit all the sites for your chance to win! Have fun entering each of the blogs below for fabulous baking items! Enter to win two great prizes here and then enter the other giveaways on the linky list below. Our prizes are valued at $48.99! Enter via the Giveaway Tools form below. Open to US and Canada, 18 years of age and older. Good luck! Giveaway Bandit is in no way affiliated with or sponsored by Paula Deen. We have sponsored our own prize for this giveaway. « Create Easy Taco Salad Tortilla Bowls! I don’t have a favorite chef. I do like to watch Cake Boss. My favorite cook is Paula Deen. I’m southern raised and love my southern cooking!! I love to bake bread! My favorite celebrity chef is the one and only Paula Deen!!!! I use a lot of her recipe’s and they always come out wonderful. I like Paula Deen and the Pioneer Woman. I love to cook fried pork chops. Alton Brown is my favorite celeb chef. Cakes has become my favorite over the last few years. I am a HUGE Alton Brown fan! His sense of humor fits my style perfectly, and his honest, down-to-earth, scientific explanations are so informative that even my kids love watching his shows with me! I like baking cakes. Favorite chefs would be Emeril and Paula Deen. I love Paula Deen and the Pioneer Woman. I love to cook just about anything…I love baking but try not to very often as I just want to eat it all…I have many celebrity chefs that I like as I am a chronic Food Network watcher. I do love Paula Deen though. Thanks for the chance to win! I like Paula’s sons, and Mario Batali. My goto dishes are broiled or grilled seafood and of course italian! I love cooking pasta, especially lasagna and shrimp Alfredo..my fave chef is Curtis Stone. My favorite is Aaron Sanchez. My favorite celebrity chef is Curtis Stone. I am also a Rachel Ray fan. I enjoy cooking roasted veggies. My favorite celebrity chefs are Paula Deen and Bobby Flay. I like to cook chicken…so many ways to prepare it! I love Paula Den! Although I have to admit that my face celebrity chef is still Emeril! Oops…Paula Deen (not Den)! I love how she cooks “real” food…no frou frou concoctions for her! I’m assuming you mean cook! 😉 I love to make enchilada suizas from scratch with homemade rice and beans (ok I cheat on the beans and used canned but add my own seasonings! LOL) but they are time consuming so I don’t get to make them often. I used to watch Rachel Ray but don’t much anymore. Not to be cliche, but Paula is definitely my favorite. My fav celebrity chef is David Rosengarten. I love Giada de Laurentiis! Paula Dean is definitely my fav chef! Paula Dean truly is my favorite! I just love all her buttery goodness! Emeril is my favorite chef, but Paula Deen and Rachael Ray are my favorite cooks. 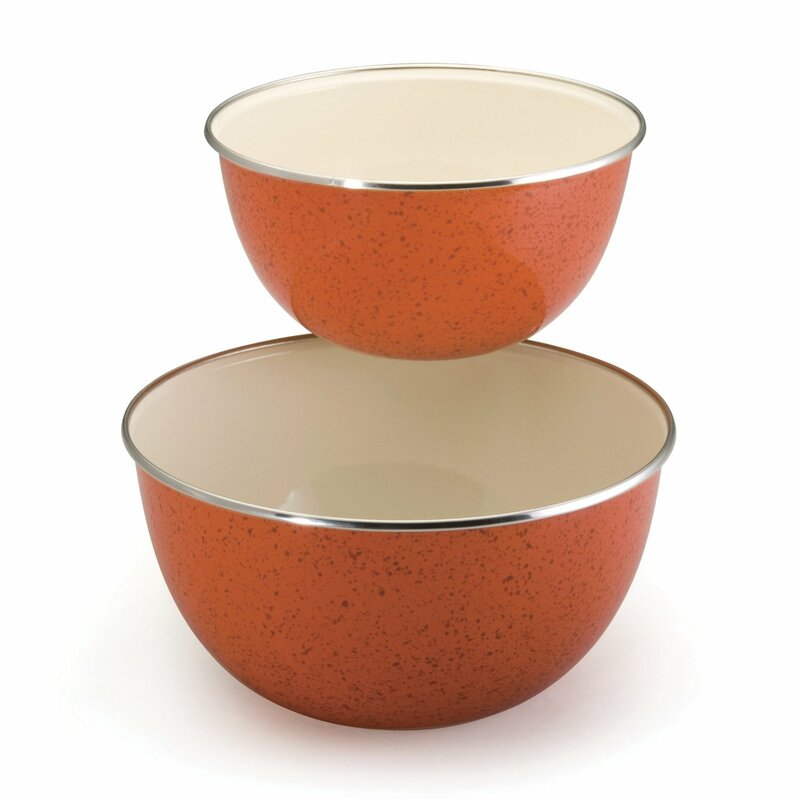 My favourite thing to cook are one dish meals – casserole, soup, crockpot, etc. Raechal Ray is my favorite chef. I love to try new recipes… lately, it’s been italian! I like to cook pulled pork. I love baking any treats like cookies or cheesecakes. Thanks! Not a favorite chef, buy my favorite cooking show is Cooks Country / America’s Test Kitchen on PBS. Alton Brown is my fave celebrity chef. I love to bake cupcakes! Thanks. My fave thing to cook is dessert. I love Emeril and Paula Deen and Rachael Ray. Celebrity chefs are so fun! Rachel Ray is my favorite celebrity chef. I like Emeril and Rachel Ray! My favorite chefs are Paula Deen and Michael Symon. Their food is my kind of style and many are easy to follow the directions. I love to bake carrot cake, zucchini bread, fresh strawberry o’cheese, and lot of different brownies/bars. My favorite to cook is Spaghetti and my favorite TV Chef is Paula Dean !!!!! I am a fan of Rachel Ray. I adore chef Gordon Ramsey! Emeril is my favorite celebrity chef! I love to bake brownies and cookies and I love Paula Deen! I LOVE EMERIL & PAULA DEEN !! I like the Cake Boss. I don’t know a lick about making cakes however. I just enjoy his show! I like Rachael Ray and Paula Deen. We like Gordon Ramsey. We went to his NYC restaurant “The London” this year and got an autographed picture of him! Paula Deen & Rachael Ray. My favorite is Paul Deen and Rachael Ray! Definitly love Paula Dean she really makes awesome food and her son does too. My favorite chef is Emeril! I like Pioneer Woman, Paula Deen and Rachel Ray. My favorite celebrity chef is Guy Fieri! I love eating cookies warm from the oven! Love me some Paula Deen and Bobby Flay! Baking bread from fresh ground wheat with no preservatives brings be great delihht. I love to bake sweet breads and cakes. just made blueberry bread this morning. My favorite is you Paula and I am always looking for new things from you online and would love to win one of your cookbooks. I want to thank you for this awesome sweep and hope to win 🙂 Thanks!!! My favourite celebrity cook is Rachel Ray. My favorite television chef is Rachel Ray. Fave celebrity chef has to be Jeffrey Gordon! Paula Deen is my favorite cook because her recipes are so yummy! Thank you for the lovely giveaway! My favorite cook is Paula Deen. My favorite celebrity chef is Paula Deen of course! 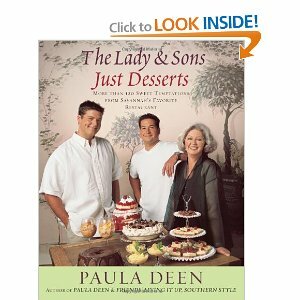 I love Paula Deen and her sons – I want to be adopted into her family – there’s a whole lotta love there! I enjoy baking–but unfortunately due to my own lack of self-control can’t keep them around the house! My favorite is Alton Brown. I’ve always loved Alton Brown because he taught me why foods cooked the way they do, using that I was able to create my own recipes. My favorite thing to cook is lasagna. Bobby Flay is my favorite celebrity chef. I love Bobby Flay. Great recipes and a great personality. Well Paula Dean and her sons of course!! My favorite thing to cook is enchiladas…or this dish I make in the crock pot with chicken, cream of celery, potatoes & carrots. I love to bake cookie bars, and my favorite cooks are Paula Dean and Racheal Ray. Don’t have a favorite chef. They are all better than me in the kitchen. Paula Deen is my fav. I love to prepare Stir fries. I vary a lot of the ingredients each time. OH Man!, This would be great! Nigella Lawson is my favorite. I have to say Gordon Ramsey. He’s a perfectionist, blunt, and honest…love him on Masterchef. My favorite is Bobby Flay and I love to cook different kinds of pasta! My favorite cook is the Southern gal Paula Deen! I LIKE TO BAKE SO I REALLY GET INTO THE BAKING SHOWS MY FAVORITE IS THE CAKE BOSS. My favorite chef is Rachel Ray. I love Paula Deen! Love the accent! PAULA DEEN IS TOPS FOR MY FAVORITE CHEF AND RECIPE GAL. KEEP DOING GREAT IN ALL WAYS.THANK YOU.